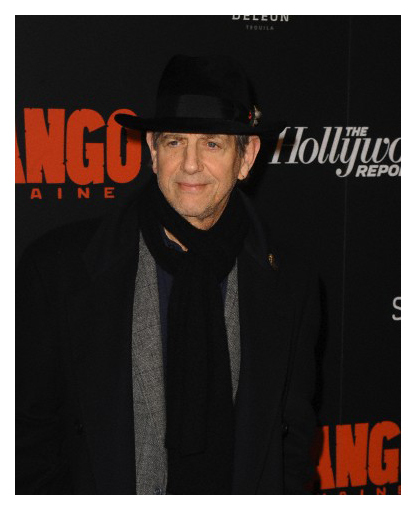 Here are a couple photos of Peter attending the screening of Quentin Tarantino's "Django Unchained" at the Ziegfield Theater in New York City on Tuesday evening. 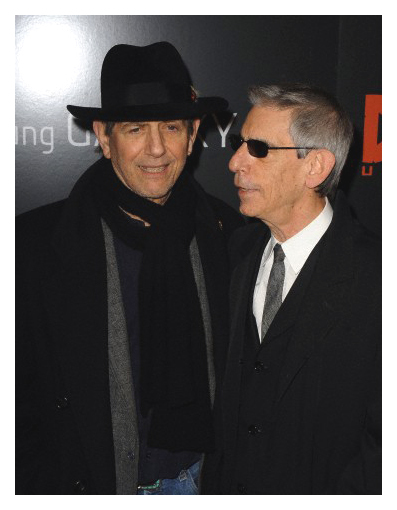 The right photo shows Peter with actor Richard Belzer. Tonight Peter will be attending the "Bring Leonard Peltier Home" Concert at the NYC's Beacon Theatre. Hosted by Harry Belafonte and Pete Seeger, the concert will feature performances by Jackson Browne, Bruce Cockburn, Jennifer Kreisberg, Bill Miller, Margo Thunderbird. Besides, Peter, guest speakers will include Author Peter Matthiesson, Rubin “Hurricane” Carter, and Former Amnesty International President Jack Healey. Leonard Peltier is a Native American activist imprisoned since the mid Seventies for his involvement with controversial incidents at Wounded Knee and Oglala, South Dakota, including the shooting deaths of two FBI agents. 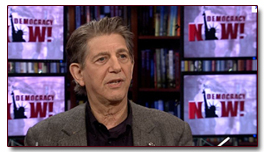 If you click on the photo below, it'll take you to Peter's interview yesterday with Democracy Now! THE DUST BOWL, narrated by Peter, will be shown in a two-part program airing tonight and tomorrow night. Filmmaker Ken Burns chronicles the worst man-made ecological disaster in American history. The four-hour documentary chronicles this critical moment in American history in all its complexities and profound human drama. It is part oral history, using compelling interviews of 26 survivors of those hard times - what will probably be the last recorded testimony of the generation that lived through the Dust Bowl. Filled with seldom seen movie footage, previously unpublished photographs, the songs of Woody Guthrie, and the observations of two remarkable women who left behind eloquent written accounts, the film is also a historical accounting of what happened and why during the 1930s on the southern Plains. There's an article by Coyote presently online at Salon.com called "The Progressive Case for Obama" - Drones, the drug war and income inequality are important. But a vote against Obama only makes other issues worse". Check it out! A new link has been created in the "Archives" section for Coyote's friends, Don and Trace Yeoman. Don is one of the great living totem-pole carvers and his wife is a painter. Their son Kyran, who hopes to follow in his father's footsteps, has made a beautiful 20-minute video. They are Haida Native people from Canada and one of Don's creations is a 40-foot totem pole on display at Vancouver Airport terminal. You can watch the video at this link. 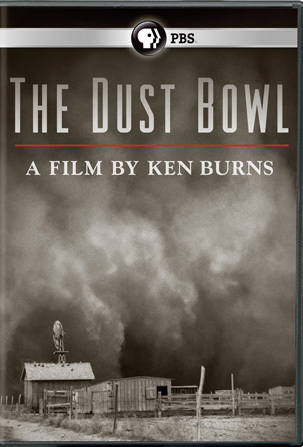 In mid-November, PBS is planning to air the latest Ken Burns mini-series, "The Dust Bowl". This 2-episode production is already announced for release on DVD and Blu-ray Disc, with a street date of November 20th...the day after the show finishes airing! Peter, Patricia Clarkson, Kevin Conway, Amy Madigan, and Carolyn McCormick lend their presence to this documentary, which runs approximately 160 minutes long. On a personal note, Coyote will be laying low for the next six months as he undergoes a rigorous medical treatment for Hepatitis C. We wish him well and hope he'll return to good health soon. The July edition of Vanity Fair included Peter in an article called, "Suddenly That Summer." 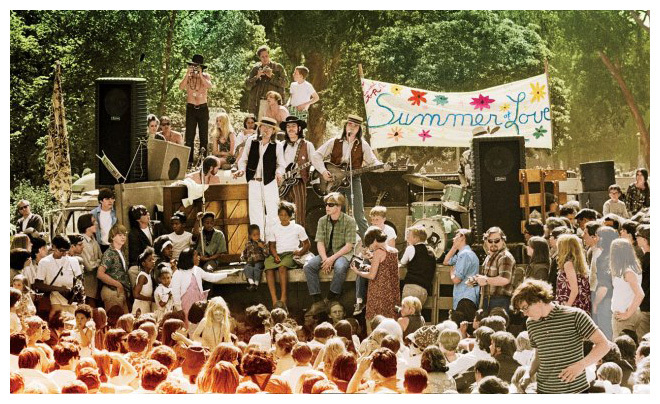 Journalist Sheila Weller writes, "It was billed as 'the Summer of Love,' a blast of glamour, ecstasy, and Utopianism that drew some 75,000 young people to the San Francisco streets in 1967. Who were the true movers behind the Haight-Ashbury happening that turned America on to a whole new age?" 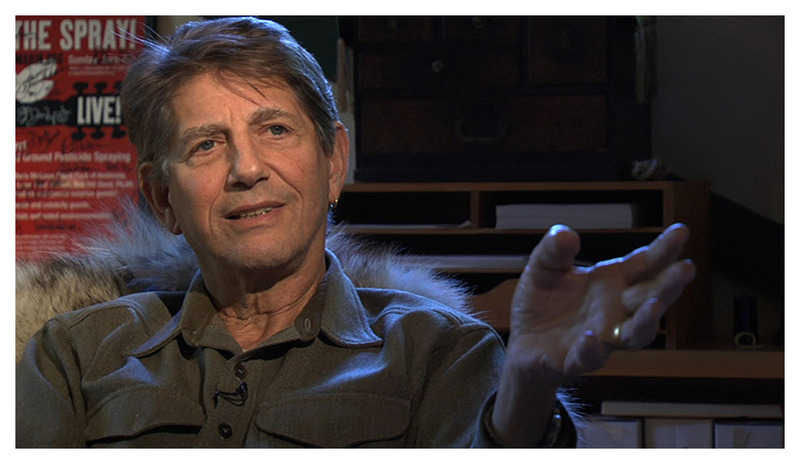 Most fans know that Coyote took on a major role in that San Francisco scene if they've read his biography, "Sleeping Where I Fall". You can read his comments about the Diggers at the Vanity Fair link. Here's an old photo from those glorious days. California's public TV station KQED serves as the premiere Bay Area showcase for independent film featuring a new season of its documentary series, "Truly CA: Our State, Our Stories". On November 18th, it will present "Stage Left, A Story of Theater in San Francisco". The 90-minute film by Austin Forbord begins with the founding of The San Francisco Actor’s Workshop in 1952 and extends through 2010. Inspired by a Western history of risk taking and exploration, a climate of political and social activism, a particular multicultural mix, and a geography that is seismically unstable, San Francisco theater artists have focused on pushing the boundaries of the form. 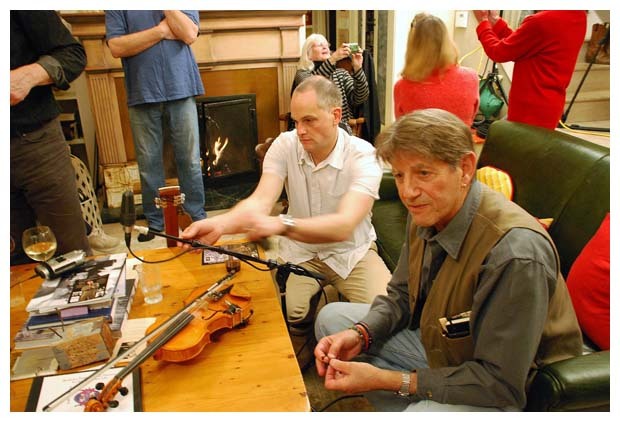 Peter is among the artists interviewed. Peter has agreed to narrate a documentary about a cycling expedition, dubbed "The Roadmelt". Six bicyclists will travel 500 miles to Yosemite National Park. 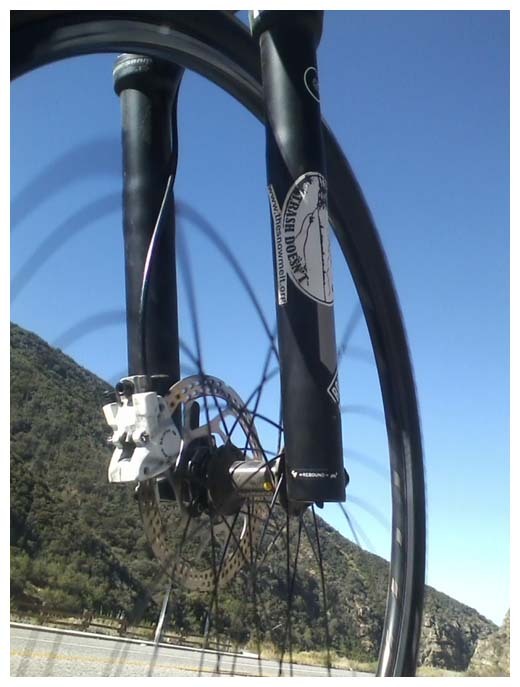 Led by Jacob Goff, co-founder of California conservation organization Snowmelt, the group will ride under its own power this month in an effort to raise water conservation awareness before meeting with Muir's March, a movement to restore the Hetch Hetchy Valley. "Our idea is to do our own march on bicyles to show the landscape of California and show how much we are dependent on water," Goff said. Founded in 2010 with the aim of turning adventure into conservation, The Snowmelt modeled its philosophy on the ideas of John Muir, founder of the Sierra Club. 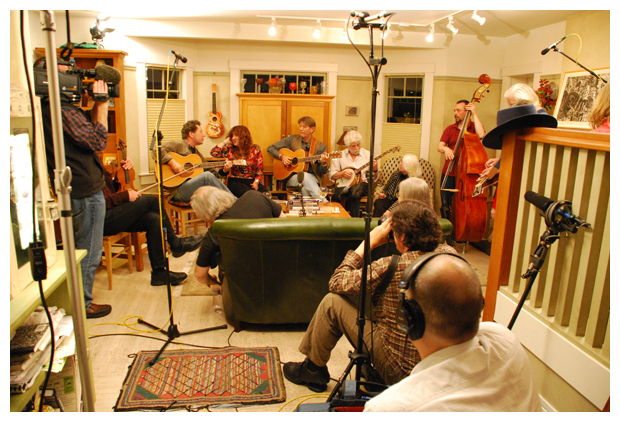 "For the Love of the Music: The Club 47 Folk Revival" is a new documentary exploring the rich history of Club 47, the iconic Cambridge folk music mecca from 1958 to 1968. 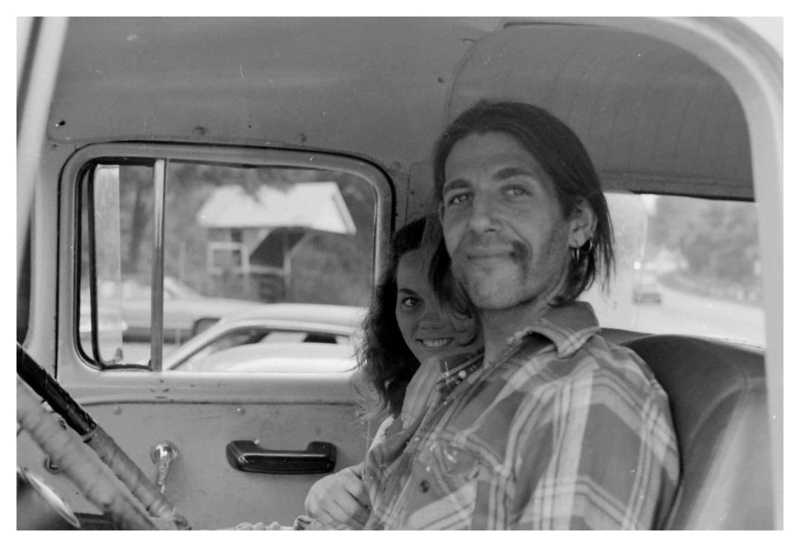 Narrated by Peter, it incorporates old photos, rare footage of audio and video recordings, and personal accounts, as it explores the influence the club had on folk musicians from the 1960s folk revival. Featured are interviews with Joan Baez, Taj Mahal, Judy Collins, Tom Rush, Maria Muldaur, Geoff Muldaur, Jim Kweskin, Jackie Washington, Jim Rooney, Peter Rowan and many more. The film features previously unreleased audio recordings and photographs of Bob Dylan, Joan Baez, and Eric Von Schmidt and new performances from Club 47 stars, as well as by today's emerging folk performers. The photos below were taken by John Bonner.